Chris Evans admits his partying days are long over and he's now looking for a wife to have children with. 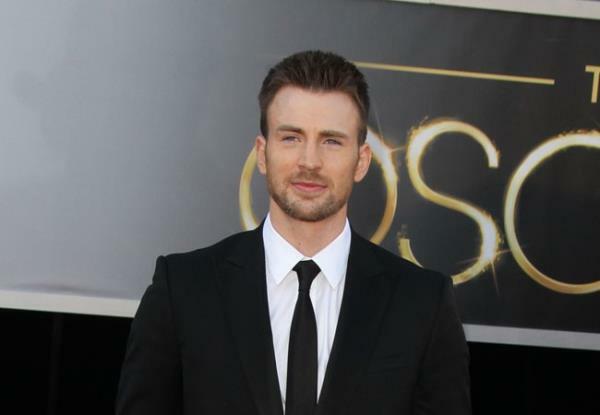 Chris Evans wants to get married and have children. The 32-year-old actor admits he's ready to leave his partying days behind him and start building a family because he doesn't want to look back on his life later on and regret missing out on those things. He said: "I want to get married, though I want children, to me that's the ultimate thing. When you're old and on your death bed, looking back at your life it's not going to be the films you've made or what you've accomplished, it's the relationships you have. You're survived by things that matter; the people you love and those who love you back." The Captain America star admits he'd much rather spend his nights wrapped up on the sofa at home, rather than out partying with his mates and knocking back countless amounts of alcohol. He explained to the UK edition of Glamour magazine: "In your twenties you think, 'How will I ever not like going out?'. You have drinks, buddies, music, great! But in the last two or three years, I go to a club and I kind of wish I was home. My idea of a good time has evolved a bit, so a night out with me might not be as exciting as it might have been a couple of years ago."